So after months of contemplating on which hairdryer to buy, I finally made the splurge and purchased the GHD Aura Hairdryer. Promising to deliver luxurious volume and stunning shine, I was intrigued as to how this would transform my fine flat hair into a bouncy bob, as most products only deliver results on those lucky enough to have thick hair. The GHD Aura is a powerful professional hair tool. It comes with an innovative concentrator nozzle, a 4 meter long cord, a quieter motor (perfect for the mornings), three heat settings and two speed settings, and a removable mesh filter. It also features an external power supply and two unique features. Firstly, Laminair which is a concentrated and precise stream of air. Secondly a Cool Wall, which is a ring of cool air around the hot air which keeps the nozzle cool to touch. This reminds me of the Dyson hot/cold room fan. In comparison to the GHD Air Hairdryer, the Aura is lighter, thinner and more energy efficient. 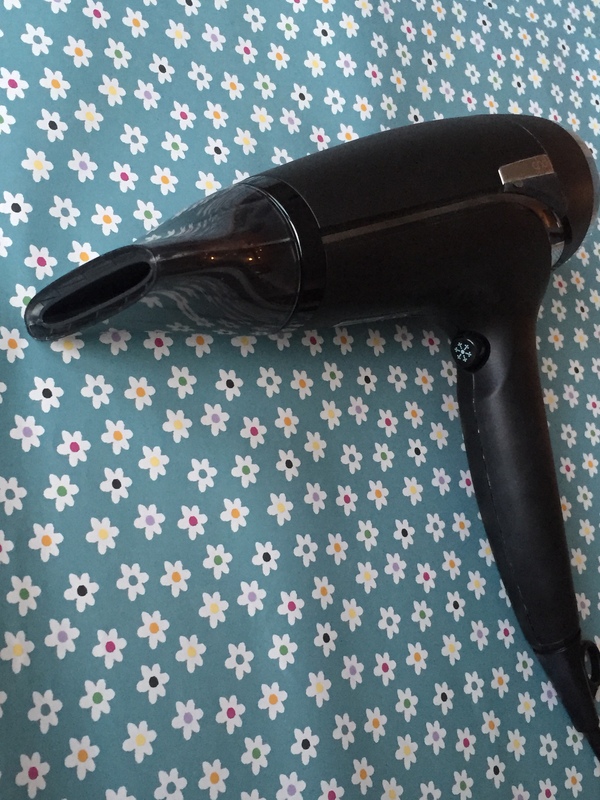 A unique feature is the external power supply which reduces the overall weight of the hairdryer, which is great as your arms don’t get tired when drying your hair. Drying time is around the same. I can dry my full head (shoulder length hair) in 10-15 minutes. One possible disadvantage is that it is not bivolt. This means if you are taking it abroad unfortunately it won’t work to the same power level as the country you purchased it in as it’s designed for a 220-240V voltage area. It is the Laminair technology that gives oomph to fine flat hair. It basically allows the hairdryer to deliver a more concentrated stream of air, which means you can work on one section of hair without disturbing the other ones. 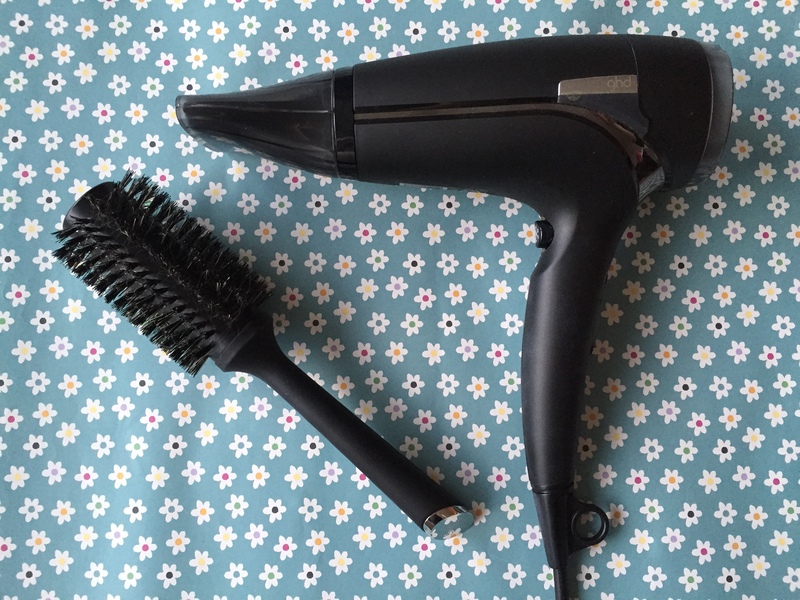 This can be really useful if you like to divide your hair in sections to blow dry or blow out, and you find that the air from your hairdryer is constantly interfering with the other sections. The technology known as ‘Cool-Wall’ keeps the outer casing of the hairdryer and nozzle cool to touch by creating a ring of cool air around the hot air, just like an aura. To me, this is the coolest feature of the GHD Aura! Gone are the days of burning your fingers and scalp when trying to get close to your roots. 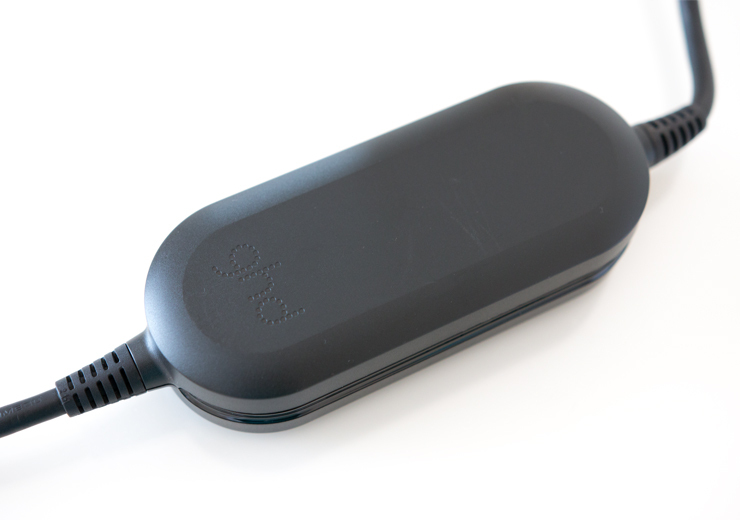 The GHD Aura has 3 heat settings – cold air (which is actually cold! I could’ve used this in the Summer months to cool myself down! ), medium heat and maximum heat. It also features a cool shot button to seal your style and settle down any flyaways. There are also two speed settings – a medium and maximum speed. I tend to use the maximum speed with medium heat to enable me to dry my hair quickly with minimum breakage from heat damage. Finally, the Aura has an advanced Ioniser built in which removes static electricity, reduces frizz and flyaways. If you are like me with fine hair then you will know the importance of this feature! If there is one thing that pains me the most, it’s static hair ALL the time. This has definitely calmed my hair down and since using it I haven’t had any static hair issues. Hallelujah!! Since using the Aura, my hair has been more voluminous and has kept its body and bounce all day long. I am brushing my hair less throughout the day which means less breakage. I also purchased the Natural Bristle Radial Brush in size 2 which has also contributed to the volume in my hair. A big tip when using a round brush is to point the hairdryer in a downward motion, keeping both the hairdryer and brush moving. This will help you achieve a smooth and shiny finish, whilst also preventing damage to your brush and hair. Cool-Wall™ technology creates a ring of cool air around the hot air, just like an aura. Advanced ioniser which removes static electricity from hair, for frizz-free hair with no fly-aways. Unique external power supply system reducing the weight of the hairdryer. Removable mesh filter making it easy to clean. Variable power and heat settings to allow better control during styling. 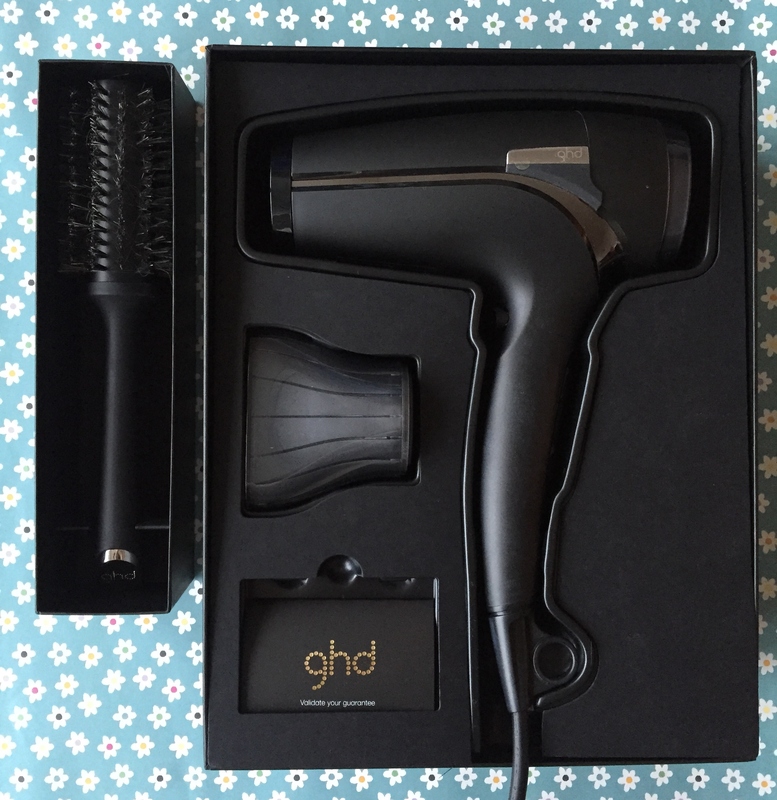 The Aura retails at £145 from store such as Selfridges, John Lewis and of course the GHD website. The brush retails at £15 and is suited for medium length hair. This is one investment that I am very glad that I have made. I absolutely love the Aura and teamed up with the brush, I am definitely onto a winner. Never under estimate the power of a good hairdryer. Since using this, I have used my GHD straighteners less which has improved the overall condition of my hair. Let me know whether you have tried or have thought about trying the Aura. Also, let me know your thoughts on GHD as they have a wide range of hair tools and products to suit all needs.